The 25SSK RDS fork cartridges have been designed to fit original equipment front forks for street and racing use. These high quality replacement cartridges are designed and manufactured in the UK using the highest quality materials and processes giving optimum performance and confidence to the rider. Precision CNC machined billet aluminum is used throughout for reduced weight and quicker response under all conditions. The open cartridge damping system uses 25mm diameter control pistons with a 14mm diameter aluminum piston rod giving a big displacement of fluid for accurate damping control. All of the aluminum parts are hard anodized to protect against wear and contamination of the damping oil during use giving longer intervals for servicing. Fork springs are INCLUDED!! 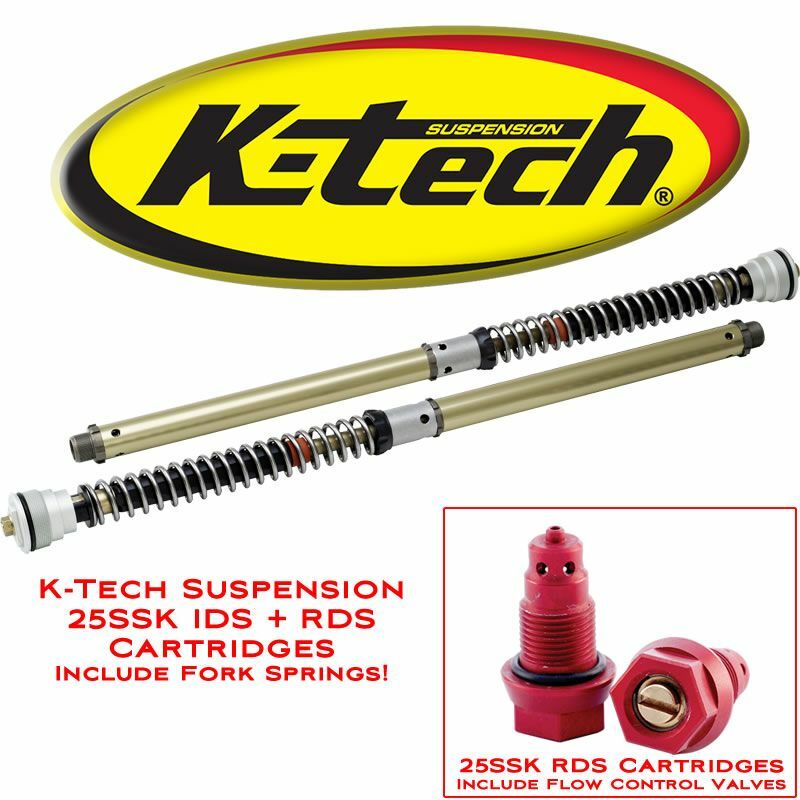 For superior performance, this product should be installed and maintained by an authorized K-Tech Suspension service center. Specific tools are required (available separately) for proper installation of this kit. All 25SSK RDS kits include Flow Control Valves for enhanced damping control over the stock units, as well as fork travel indicators. We are happy to announce reduced pricing for 2015! All 25SSK RDS cartridges are now $1196 plus shipping, which includes a pair of springs (please specify your weight when ordering), flow control valves, and fork travel indicator. Orient Express is pleased to pass along the savings to our customers!